There is an ever increasing interest in competitive gaming thanks to the rise of geek and gaming culture, and how mainstream eSports are becoming. Everyone wants to get better at their favorite game, even if they don’t necessarily want to try and make a living out of it. Once you’ve gotten the basic mechanics down, it can be difficult to figure out just what you need to work on to up your game. Enter Alienware Academy, a collaboration between Alienware and Tobii, the makers of eye tracking technology, who are ready to bring you all new ways to follow that age-old forum advice: get gud. Alienware has been a supporter of eSports since 2005, but they quickly found themselves pondering a question: how could they invest in the gaming community as a whole, not just the professional gamers? Much like their traditional sports counterparts, eSports are about communities, and most people want to do more than simply watch their favorite team play; they want to play casual games with their friends, enter local tournaments, or teach their kids the skills needed to succeed in their favorite game. Investing in eSports is great, but it only impacts the smallest percentage of gamers; how could they honor their commitment to gamers and better provide support for gamers as a whole? Their solution was Alienware Academy. This virtual classroom will offer free tutorials, tools, statistics, and comparison charts to anyone who wants to up their game. Guided by Team Liquid, a high ranking eSports team, and focusing initially on Counter Strike: Global Offensive, Academy members will be able to review video tutorials composed by professional eSports players and then participate in training missions specifically designed to help them commit the skills in those lessons to muscle memory. You’ll be able to select difficulty levels, replay tutorials as many times as you like, and compare your stats against both professional gamers and other Academy members. I got to participate in one lesson where Team Liquid taught some basics around how to compensate for recoil while shooting and how many shots it takes to kill an opponent, both with and without armor. With the tutorial completed, I got to try my hand at my first Alienware Academy lesson, a custom, private practice arena housing an exercise which involved keeping my eyes on the center of the screen, then identifying and shooting the red target (and specifically not shooting the blue one) when it appeared. On easy mode, these figures appear at pretty much the same distance, with the only variable being their spawn location. The harder the difficulty, the more varied their spawn locations, which could include their spawning further back as well as appearing higher up and on top of obstacles. Upon completing the testing, I got to see my reaction times and, because I was using a Tobii eye tracker at the time, I was able to see not just how long it took my hand to react, but how long it took my eyes to move to the target. This is an added benefit for those who owns a Tobii eye tracker, you not only get an additional set of stats, but you can actually record your games and upload them to the Academy. The Academy will provide software that will be able to analyze your eye movements throughout the game and provide valuable feedback, such as encouraging you to train yourself to check your health or the mini map more often. Tobii’s stats aren’t just restricted to gamers, either. They’ve used this same technology to test the reaction times of baseball players, who clock in at around a 290 millisecond reaction time, and NHL goalies, who average around 230ms. Compare that to Street Fighter champions, whose reaction times settle in around the 280-290ms rage, or my humble reaction time of 390ms. Academy members will also be able to view games of professional gamers who have enabled their eye trackers, allowing them to see, in real time, where the player is looking so they can better understand how and why they react when they do. While Alienware Academy will initially focus on CS:GO, it does plan to eventually expand to other games, and beyond the FPS genre. That said, the skills taught in these lessons, from improving reaction time to map awareness, can be applied to any number of games, and beyond the FPS genre. 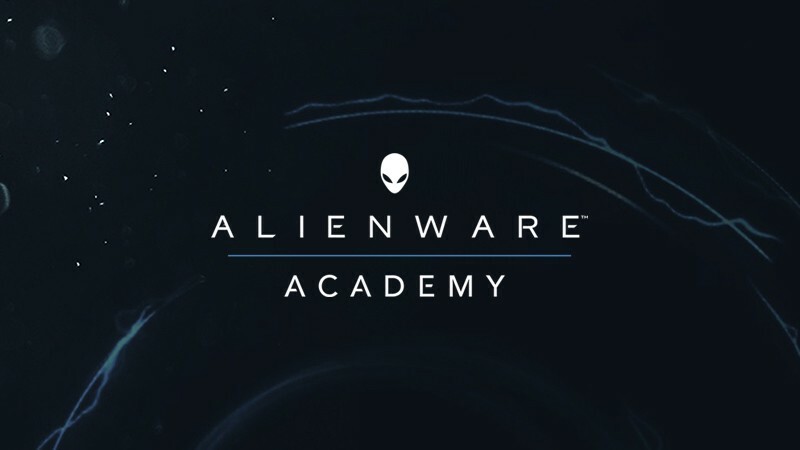 Alienware Academy will launch to early access in August, in the meantime, there’s not a whole lot to see at the website other than a placeholder page. Our E3 coverage continues, be sure to check back for more, interviews, previews, and hands-on from the convention floor!